Diseases of viral origin - Hepatitis, Rhinitis, Influenza, Conjunctivitis, Eruptive fevers (Chicken pox, Measles, Herpes Zoster) etc. Common problems of Children, acute or chronic, which are not life threatening. Complaints during pregnancy, labor and puerperium. SchizophreniaMental health is a state of well-being in which an individual realizes his or her own abilities, can cope with the normal stresses of life, can work productively and is able to make a contribution to his or her community. No Worry No Tension Healthcare Pvt. Ltd. When a person suffers from hyperacidity or heartburn or acid dyspepsia, he or she will go to the nearest pharmacy and buy over-the-counter (OTC) antacids. This usually takes care of the hyperacidity without any complications. Ankylosing Spondylitis (AS) is a chronic disease affecting the spine and lower limb joints, of unknown or lesser known causation. It affects younger individuals in late teens and early to mid-adulthood. We cure, as we care. Best consultation on any disease. 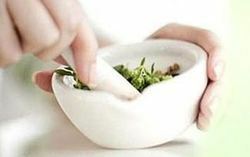 Homeopathy is being used by many for its deep rooted cure without any side effects. We at our clinic would like to make you get rid of your problems and leave a healthy and happy life. Children are the best beneficiaries of Homoeopathy. Parents often think that this is because of the ease with which children accept sweet homoeopathic medicines! We have a wide experience in treating children of various age groups with various complaints. Many children who had come as infants have grown into healthy teenagers!